They both do indeed, each in its own way, of course. 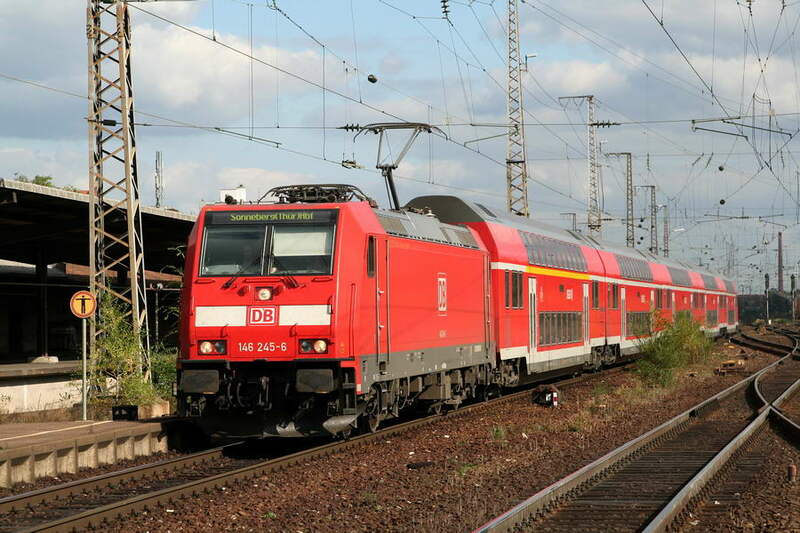 Actually there is quite a bit of variety over here when you also count light rail and tram in Frankfurt as well as regional and long distance stock. You know what they say, Bernard. Familiarity breeds contempt. 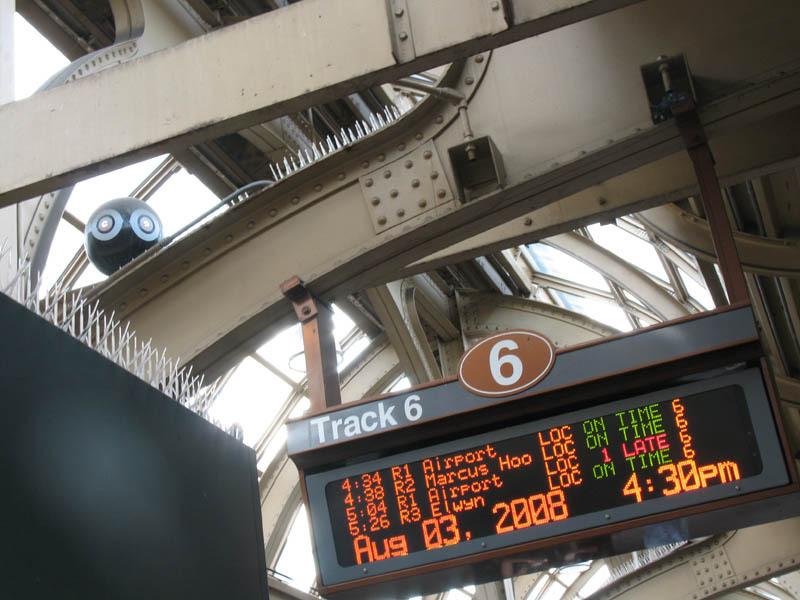 I was looking at your photos and thinking how interesting the NYC trains looked! Mark, once again great pictures. You can see the clear British and North American influences on the rolling stock, especially the steam locomotives. The Baldwin is clearly a variation of the USRA light 2-8-2 design, while 3642 looks like a combination of Great Western and Southern influences- love the GWR-style cap on the chimney! bb, during the steam era our loading gauge was fairly restricted compared to that of the US railroads - even a USRA light 2-8-2 would have been out-of-gauge on most of the NSWGR network, and would have exceeded the maximum permitted axle load on many lines. The 59s were instead based on the WW2-era US Army Transportation Corps S200 2-8-2 design. They were a great success here, and out of 20 delivered 5 are preserved. As for the 36's design influences, well spotted! The man responsible for their design was E.E.Lucy, Chief Mechanical Engineer from 1911 to 1932. Lucy had previously worked for the GWR under Churchward before becoming Assistant CME in 1906. On a more recent note, here's a bit of today's coal train action at Waterfall. Three ex-Victorian Railway C-class diesels, now owned by Coote Industrial and leased to Pacific National, are headed for Port Kembla with export coal. So--what does "Husk Skilting" mean? Directly translated it means" Remember signing" sign as in road sign, so "remember road signing", does not make sence to me ?? Norweigian ,Swedish and Danish is much alike. So, it's a sign that says "pay attention to signs." Awesome shots, Mark. I always love to get to see the Aussie equipment in service. Mark - When I was traveling up to Cairnes I noticed a very narrow guage train track that I believed was use to collect the harvests from the farmers. They looks so narrow that it would be easy to tip over or derail the cars. Why are they so narrow? 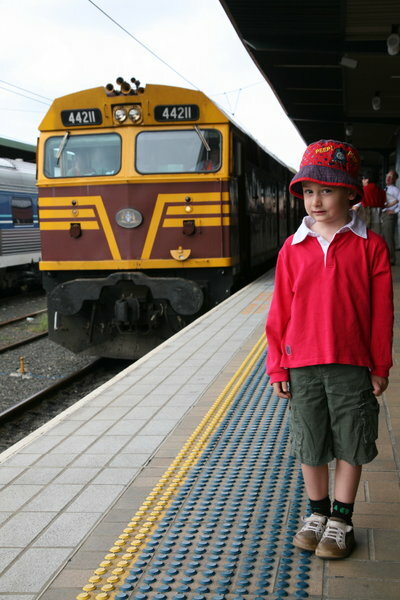 Ex South-Australian 600 class Alcos - same type locos as the 45 class shown previously - in the rain at Waterfall. The conditions for photography were far from ideal, but these locos are very rarely seen on the Illawarra, so I chose to get wet! Australian Railroad Group 422 class 2204 on the Manildra-Bomaderry wheat train, about a week before they handed this job over to Pacific National. A trailing shot of the same train. For those of you unfamiliar with CLP/CLF class locos, they look like this - odd. Last for today, a trio of Chicago Freight Car Leasing Australia units on a spoil train in Waterfall up yard. 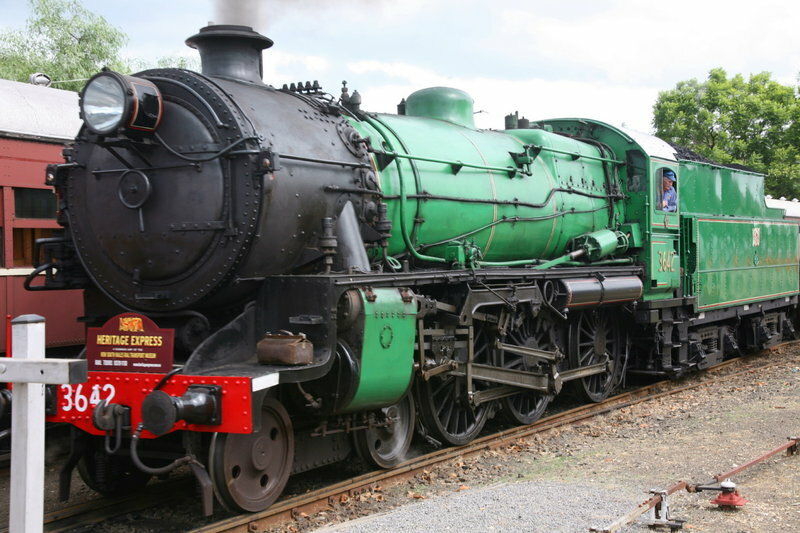 T385 is an ex-VR T class, while KL80 and 81 are ex-NSWGR 49 class locos. If I recall correctly the EMD F-units down there have a cab on the B-end (back end) for reverse moves. Bernard, what you saw were the 2'/610mm gauge sugar cane tramways that Queensland is famous for. There are over 2000km of these narrow gauge lines linking canefields with local mills. The use of the 2' gauge dates back to the early days of the sugar industry, when portable track, and man or horse-powered trains were used to bring in the cane harvest. The portable track was supplied by a number of British and European makers, such as Fowler, Decauville and Orenstein & Koppel. When the industry expanded and the cane tramways got longer, the lines started using steam power, but as they were already using the 2' gauge track and cars, that's what they stuck with. 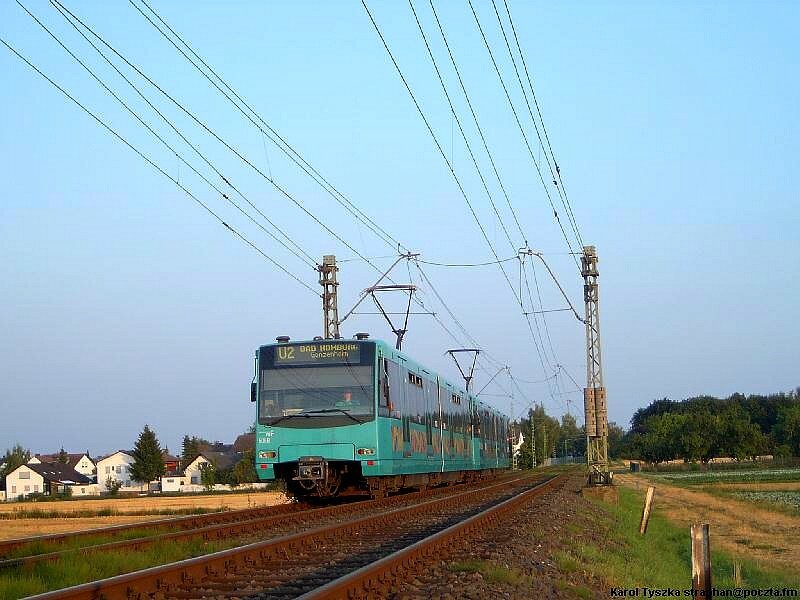 Plus the usual reasons applied for using narrow gauge: minimal earthworks, tight radius curves, low capital cost. These days the cane tramways run very long trains hauled by diesels, some of which are big buggers converted from standard gauge shunting engines. In spite of appearances, they're quite stable, and derailments are probably no more common than on the bigger railways in Queensland. If you're interested, have a look at this website - it has lots of historical information as well as some great modelling tips. Yes they have, what's called a hostler's cab. It's a very basic set-up with only a throttle, reverser and an independent brake valve, no automatic, so you can't haul a train with the No.2 end leading. On the NSWGR 42 class the seat doubles as a lid for the toilet! In my younger days the 42s used to be coupled back-to-back on the premier passenger trains such as the 'Southern Aurora', but after a spate of leading unit failures, this practice was banned, and they'd both be coupled No.1 end leading. 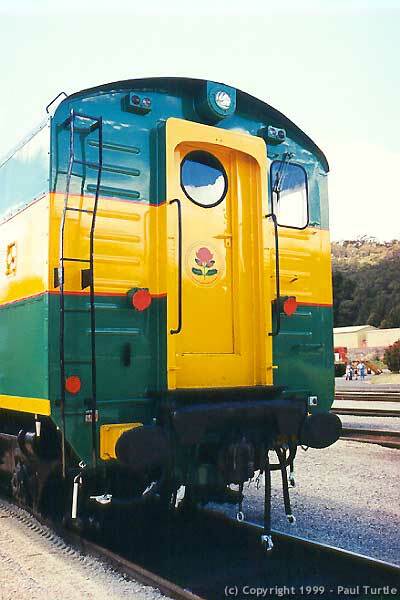 The next version of these locos was the 421 class, which had a full cab in the No.2 end. They were an improvement, but the headroom in the rear cab was limited, as it shared space with the cooling system, and they were bloody noisy, which lead to crews black-banning them as leading units. And they rode very badly, in spite of numerous modifications to the bogies. I never liked the things, and would go out of my way to avoid working on them. I don't have any photos of my own of them so the best I can offer is this view. I think if I ever tire of J-trains, that I'll look at Aussie trains next. What is the state of the railfanning industry like over there? 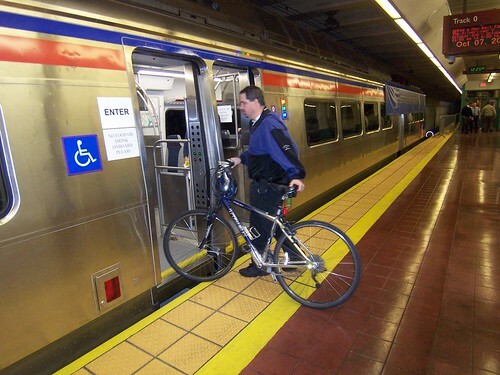 Are the cops and train crews friendly, irritable or indifferent towards fans? Yep. 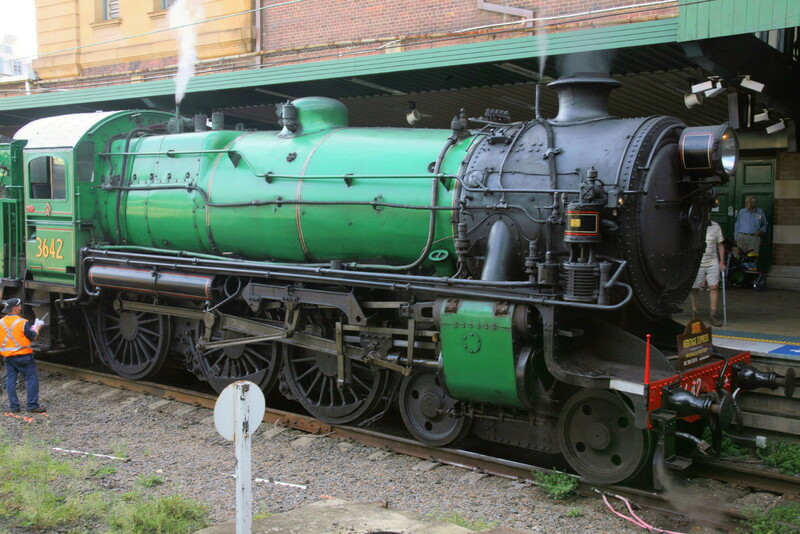 It's the Rail Transport Museum's preserved 442 class, otherwise known as a Jumbo. Nice shot. Your little bloke looks as though he's done this once or twice before! You mean those spikes, Mudkip? We have them here, too - usually on the top of destination indicators and on some other overhead items enjoyed by birds as landing spots as well. In recent weeks I also noticed quite a few of those insulators built into OHLE suspensions to have been fitted with a set of radially protruding spikes - probably to prevent birds from creating a connection between the live parts of the suspension and the earthed parts. Every single train has the same paint scheme. EVERY SINGLE TRAIN. Right now Suburban has a mockup of the new series 5 railcars, which are on order from Hyundai. Notice anything... familiar? There's no escaping the tyranny of red, white and blue (or silver). Kinda like any new non-stainless rolling stock color scheme in Japan has to include white. Do you know why there is a blue tarp hanging off the roof of the 1st car? 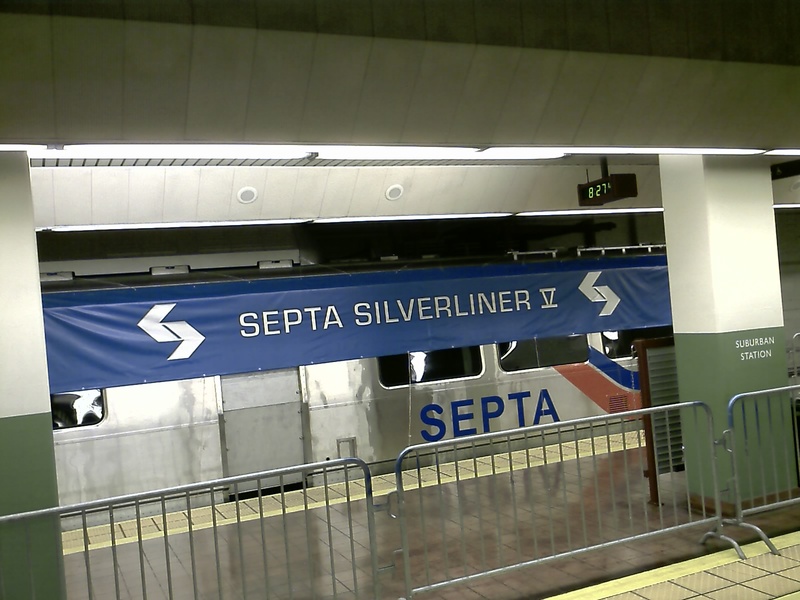 From an Australian perspective I thin it is funny that they called the train a Septa. Australian slang has to some extent adopted cockney ryhming slang as its own. The Australian rhyming slang for an American or "Yank" is a "Sceptic TanK" (ie Tank rhymes with Yank), shortened to "Sceptic" or "Scepo". 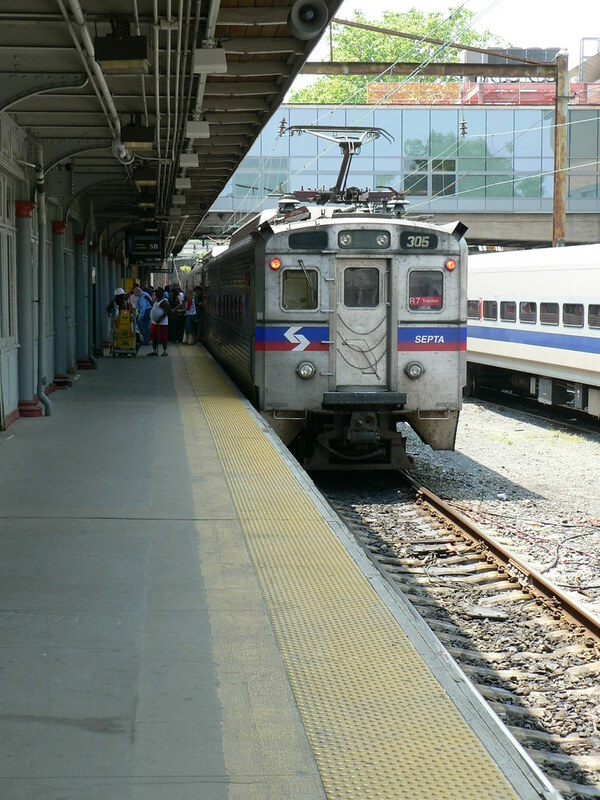 I think it is ironic that an American train painted red, white and blue has been called a Septa. I actually quite like the looks of them, TBH .